Python has a great built-in list type named "list", which can be written as a list of comma-separated values between square brackets. Important thing about a list is that items in a list need not be of the same type. To access data, with the first element at index 0. 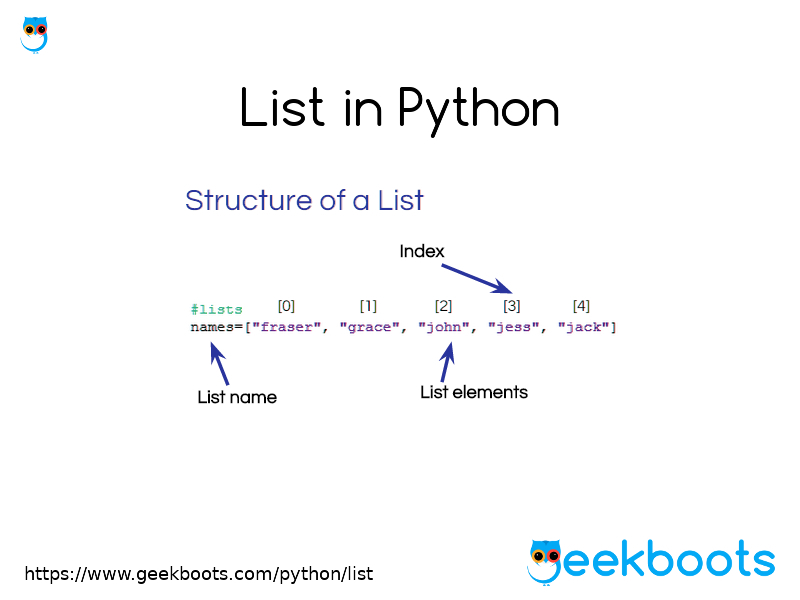 Here is the coding example for List in python.